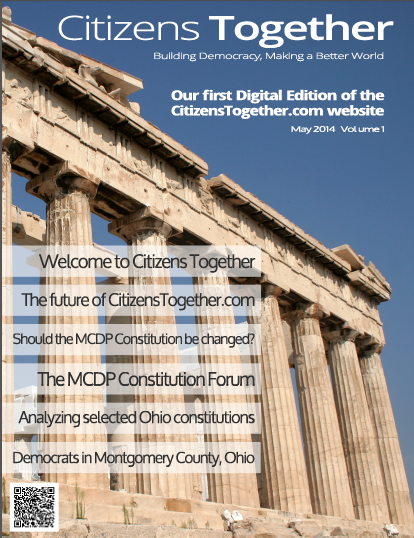 Montgomery County Democrats at the May 6 Democratic Primary will elect members of the MCDP Central Committee. 132 of the county’s 360 precincts have at least one candidate (shown in WHITE on map) — 16 of the 132 have more than one candidate — and 228 precincts have no candidate (shown in GRAY on map). 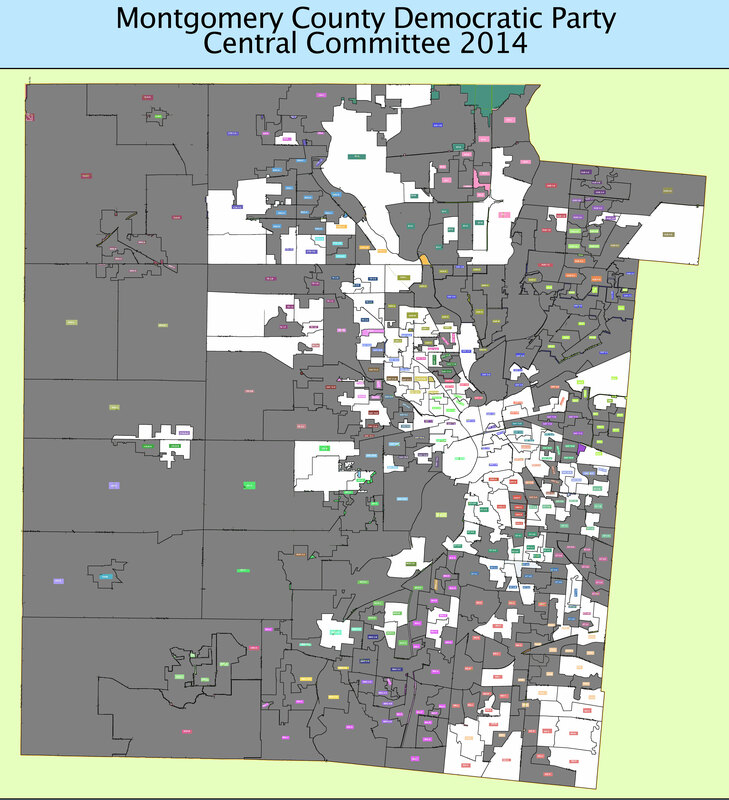 The 132 precincts out of 360 precincts that will have representation on the Central Committee is only 36% of the precincts. Montgomery County has 33,265 registered Democrats, according to the 2012 data from the Board of Elections. I counted them up, and the total number of Democrats living in the 132 precincts with candidates to the Central Committee is 15,598 — 47% of the Democrats living in Montgomery County. Democrats living in the 228 precincts with no candidate total 17,667 — 53% of all Democrats in the county. This strategy of suppression comes from the downtown clique that decide MCDP policies and has been an on-going aggravation to me every since I started paying attention eight years ago. I first got involved with the MCDP at the reorganization meeting in 2006 and was appalled at what I found. The downtown crowd repeated their strategy of suppression in 2010, and now, again, in 2014.